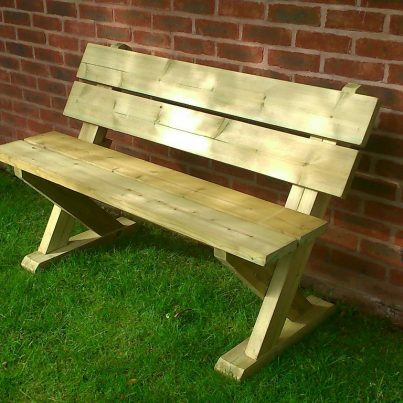 This is a fine example of our unique style and innovative ability. 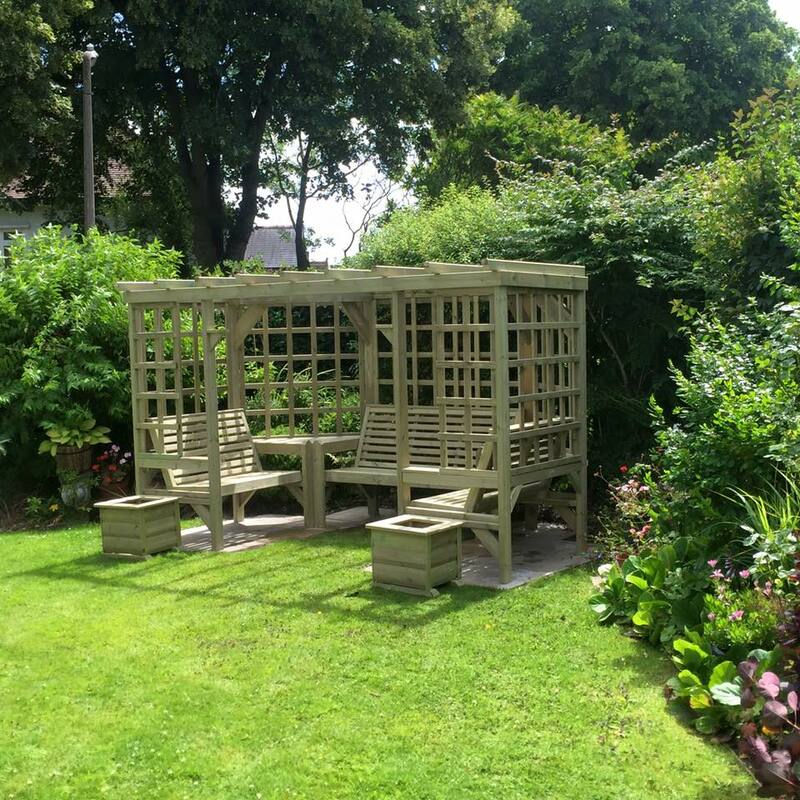 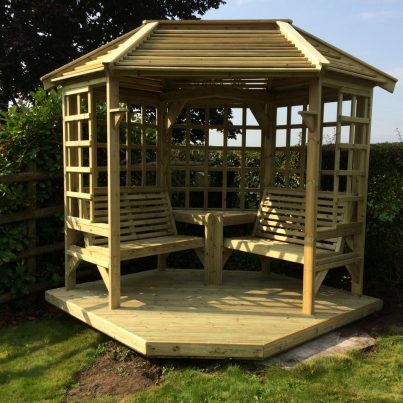 Designed and hand made exclusively by us, the Riviera wooden pergola is ideal for making the most of those long summer evenings. 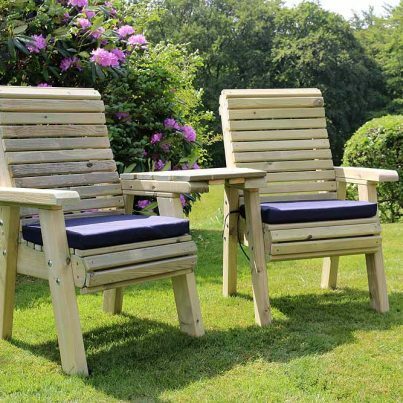 Entertaining or relaxing with family and friends in a Riviera shaped seating arrangement. 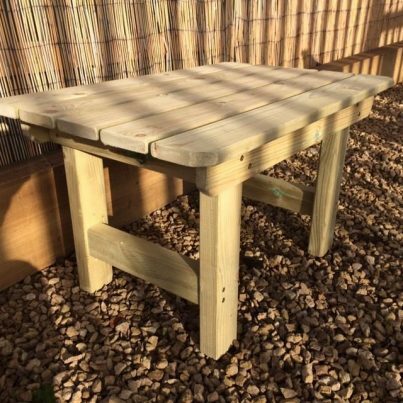 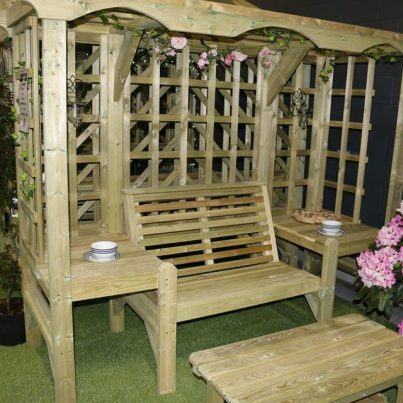 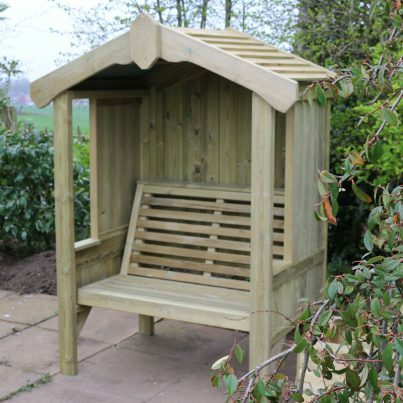 Designed to help you utilise your outdoor space and make optimum use of your garden. 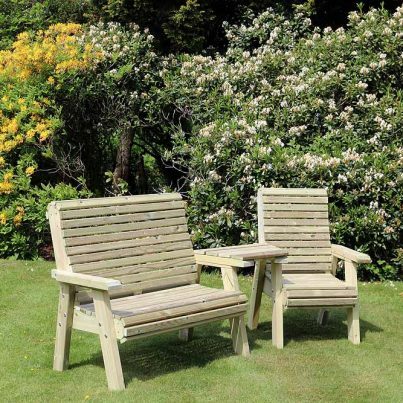 The Riviera is generously proportioned to comfortably seat a group of people, but still be able to blend in and compliment any garden space. 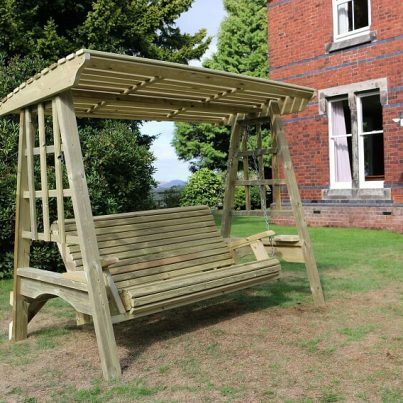 The overhead pergola gives you that all important sheltered feel yet still allows the sunshine to cascade through. 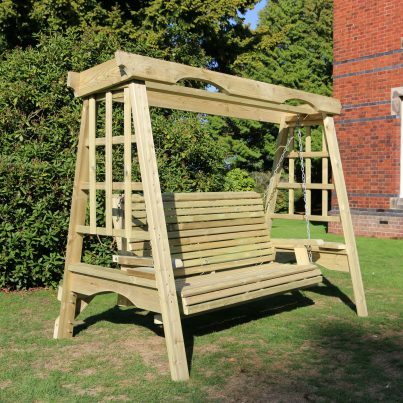 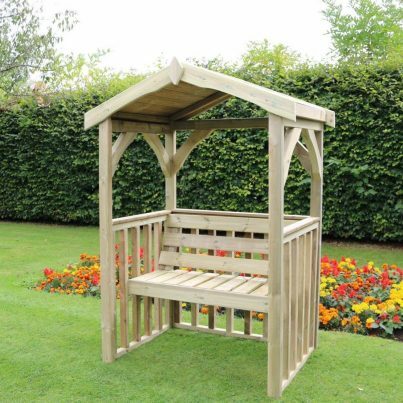 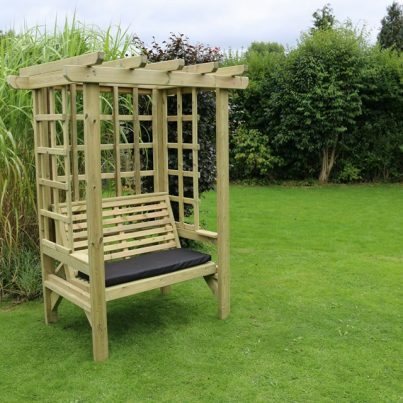 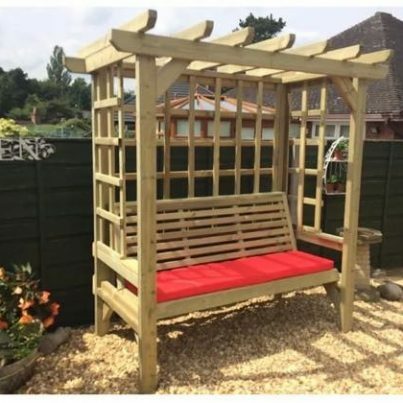 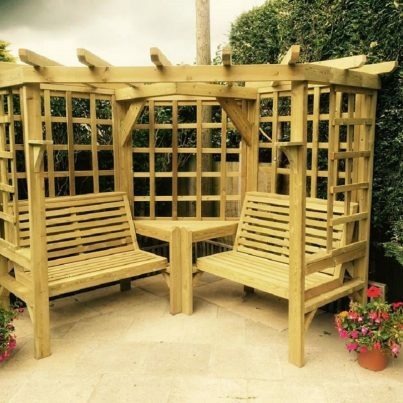 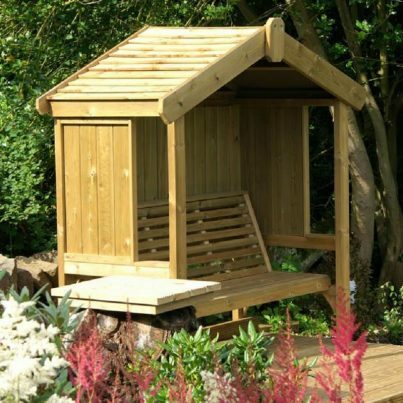 The Riviera wooden pergola like all of our products is hand made from fully tantalised timbers with a 25 year rot free guarantee. You can train your favourite rambling plants across them with no need to worry about having to treat the timbers for rot between seasons, and safe to leave out for year round use. 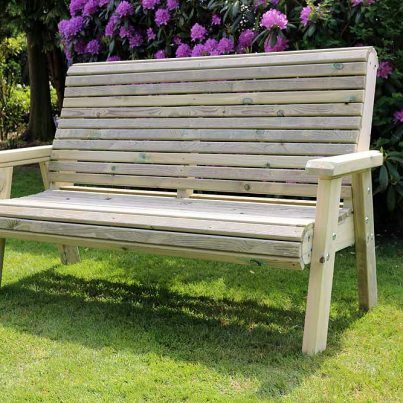 There is plenty of room for seven adults to sit, with a three seated bench across the back and a pair of two seated benches at each side. 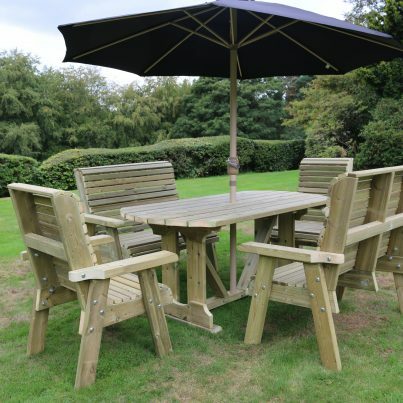 Made to compliment the rest of our stunning range, there’s even space to pull in a dining table for alfresco dining, which could be removed after the meal to allow comfortable socialising space. 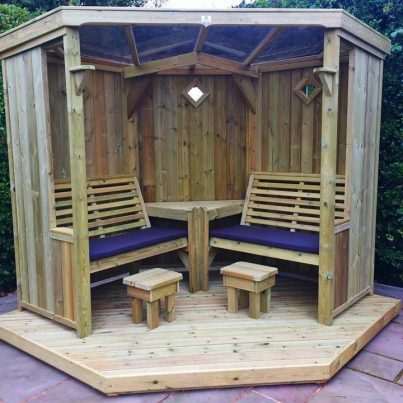 Add your own choice of cushions and throws, some candles or lanterns to make it your own ideal space. 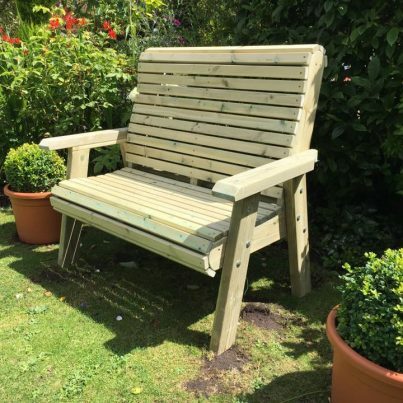 With handy corner tables between the seats, perfectly positioned to hold your wine glass and nibbles, or just to put your book down whilst you sit and enjoy a moment in the Riviera..